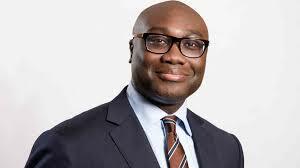 The Game of Life Goes On: Let’s Play it the Komla Dumor Way! Well, 2014 has settled in, and I am back on my blog after a hiatus. Fortunately, I was able to connect with some of you via facebook. Truth be told, 2013 called for some emotional heavy lifting and I had to conserve my energy, but it is a new season and time to roll. We now live in a world where Chinua Achebe and Nelson Mandela are physically absent. As traumatizing as that sounds to me, I have finally come to terms with the passing of these great giants. I can easily console myself that these monumental human beings lived well beyond the biblical three scores and ten. But what can I say about Komla Afeke Dumor? A mere child in their presence! What am I to say about that brother whom I did not really get to know. To think that the only time I had a chance to listen to him I was kind of disgruntled. Curled up in my hotel room in Athens, Greece, I wanted to watch world news on TV and to me that meant CNN. That is what living in America has done to me! I wanted to see Anderson Cooper. The connection was not even good, and I was dying to get more information on the terror attack at the Westgate shopping mall in Nairobi, Kenya. I flipped the channels over and over and found BBC. Komla Dumor was at his post doing what he knows best, but I paid no mind. I was under the weight of sadness over the death of Kofi Awoonor, veteran poet and Ghanian Statesman who had been fatally shot at the Westgate mall. I did not know that destiny was introducing me to my brother, Komla Dumor, whose death I would contemplate in the quiteness of my soul within a few short months. And so it came to pass: when Komla Dumor died, I hardly knew him. Our encounter was too brief. Luckily, he left enough homework for the living; I have been watching and re-watching videos of him at work on youtube.